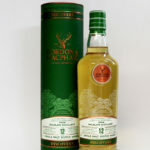 Dunkeld Atholl Brose is a whisky and honey liqueur from Gordon & MacPhail. 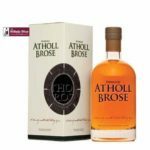 Allegedly it is based on a recipe used in 1475 by the Earl of Atholl to fill the well that the rebel Iain MacDonald drew water from. MacDonald stayed to enjoy the concoction and so was captured. 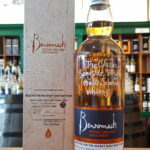 This Benromach was distilled 28th September 2009 and bottled March 2019 from a single first fill bourbon barrel. Barrel number 790. 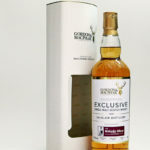 Specially selected for The Whisky Shop Dufftown, it is exclusive to The Whisky Shop Dufftown, bottled especially for WSD and only 242 bottles produced. Gordon & Macphail describe this new range as 'The result of more than 120 years in the pursuit of perfection, matching cask with spirit. 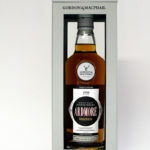 The Connoisseurs Choice range exemplifies Gordon & Macphail's unrivalled commitment to Single Malt Scotch Whisky. An ever-changing collection of unique perspectives on distilleries' own bottling's. Always non-chill-filtered, these single cask and small batch expressions, are exceptional one-off's.' This is from a refill American hogshead distilled in 2003 and bottled in 2018 producing 279 bottles. Gordon & Macphail describe this new range as 'The result of more than 120 years in the pursuit of perfection, matching cask with spirit. 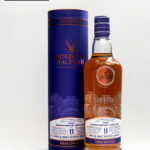 The Connoisseurs Choice range exemplifies Gordon & Macphail's unrivalled commitment to Single Malt Scotch Whisky. An ever-changing collection of unique perspectives on distilleries' own bottling's. Always non-chill-filtered, these single cask and small batch expressions, are exceptional one-off's.' This is from a refill American hogshead distilled in 2000 and bottled in 2018 producing 217 bottles. Gordon & Macphail describe this new range as 'The result of more than 120 years in the pursuit of perfection, matching cask with spirit. 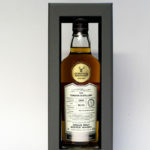 The Connoisseurs Choice range exemplifies Gordon & Macphail's unrivalled commitment to Single Malt Scotch Whisky. An ever-changing collection of unique perspectives on distilleries' own bottling's. Always non-chill-filtered, these single cask and small batch expressions, are exceptional one-off's.' This is from a first fill bourbon barrel distilled in 2001 and bottled in 2018 producing 182 bottles. 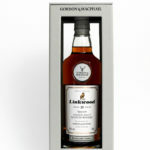 Gordon & Macphail describe this new range as 'testimony to the long and unique relationships built over generations. We have been entrusted with new-make spirit from many of Scotland's distilleries to mature in our casks, our way. Offering interesting and complementary perspectives on already great single malts, this highly sought after collection features the original distillery labels licensed to us, making these whiskies even more distinctive.' This Ardmore was distilled in 1998 and bottled in 2018. 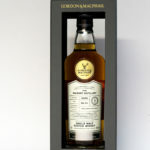 Gordon & Macphail describe this new range as 'testimony to the long and unique relationships built over generations. We have been entrusted with new-make spirit from many of Scotland's distilleries to mature in our casks, our way. Offering interesting and complementary perspectives on already great single malts, this highly sought after collection features the original distillery labels licensed to us, making these whiskies even more distinctive.' 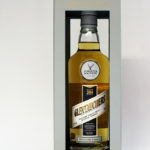 This Glentauchers was distilled in 2004 and bottled in 2018. 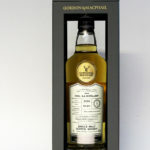 Gordon & Macphail describe this new range as 'testimony to the long and unique relationships built over generations. We have been entrusted with new-make spirit from many of Scotland's distilleries to mature in our casks, our way. Offering interesting and complementary perspectives on already great single malts, this highly sought after collection features the original distillery labels licensed to us, making these whiskies even more distinctive.' 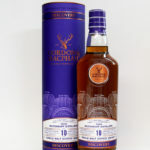 This Glentauchers was distilled in 2005 and bottled in 2019. G&M: Fresh and fruity aromas mingle with sweet vanilla and dry meadow grass: Smooth, fresh melon, tropical kiwi, and ripe nectarine flavours develop into a cocoa powder and toasted oak finish. This Glentauchers was distilled on 20th June 1991 and bottled in July 2016 from a refill ex-American Hogshead which produced 216 bottles. This is our third bottling to celebrate our 10th year of doing business. Bottled in time for the first Spirit of Speyside Distilled. 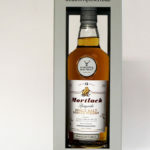 This whisky was chosen by Kat, Val, Vicky & Mike. The second one chosen by the full team! Gordon & MacPhail tell us 'This new Discovery Range was created to offer the utterly dependable and consistent choice of their finest whiskies. Each expression sits within the bold flavour profiles of either 'Sherry', 'Smoky' or 'Bourbon' making these single malts the perfect match for the whisky lover who enjoys exploration through flavour and character.' 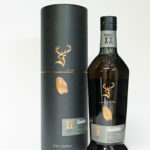 This Bunnahabhain 11 Years Old has been matured in sherry casks. Gordon & MacPhail tell us 'This new Discovery Range was created to offer the utterly dependable and consistent choice of their finest whiskies. Each expression sits within the bold flavour profiles of either 'Sherry', 'Smoky' or 'Bourbon' making these single malts the perfect match for the whisky lover who enjoys exploration through flavour and character.' 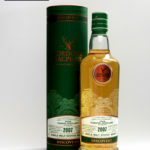 This Tomatin 2007 has been matured in bourbon casks. This Balblair was distilled on 25th March 1996 and bottled in April 2017 from a refill ex-Bourbon barrel which produced 199 bottles.